euforia - (r)evolution lab: This was what happened at the first weekend! If I had to sum up the kick off weekend of the (r)evolution lab programme 2017/18 in one sentence, this would be it. With participants and facilitators from Switzerland, Senegal, Germany, Eritrea, Belgium, Egypt and Romania, the first (r)evolution lab weekend became a space where people of different cultures and backgrounds could come together, exchange, tackle social, political or environmental problems, dream and prototype a transformative event…together. In times of discrimination, ethnocentrism and hostility towards people who are different from us, (r)evolution lab has created a safe space for open exchanges, co-creation and radical collaboration and has thus brought beautiful initiatives to light. 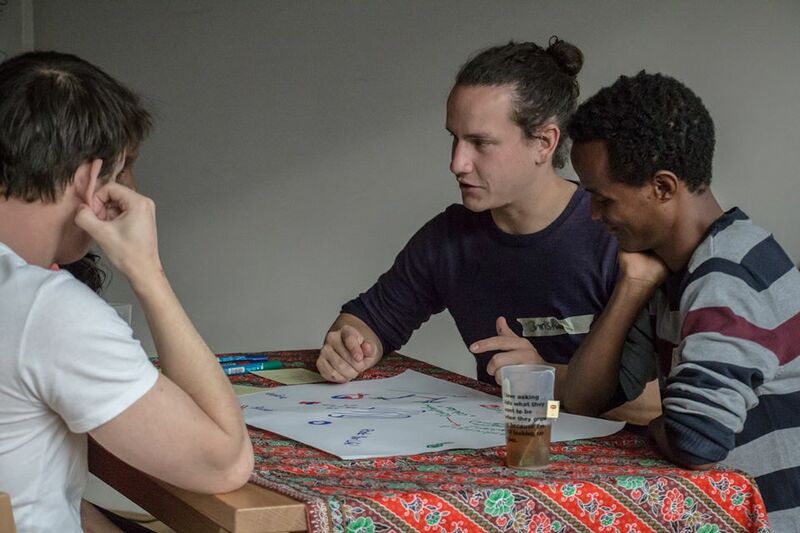 Topics such as responsible, ethical and sustainable mining in Eritrea, refugees inclusion and integration or overcoming discrimination against LGBTQ teens in Swiss schools and sports clubs are just a few of the issues which were discussed and which will be the starting point of a transformative action, project or event. And here lies the beauty and miracle of this programme: it engages the unengaged, it empowers individuals to tackle these challenges bottom-up, starting with their own communities or work environments. It was mind blowing to see how out of thismelting pot of cultures, nationalities and backgrounds, common hopes for the future emerged: freedom not only of speech but of pursuing ones dreams and vocation, the right to education, putting a stop to discrimination of any kind etc. But (r)evolution lab is not just about the talk it is about the walk as well, it is about making a real impact. 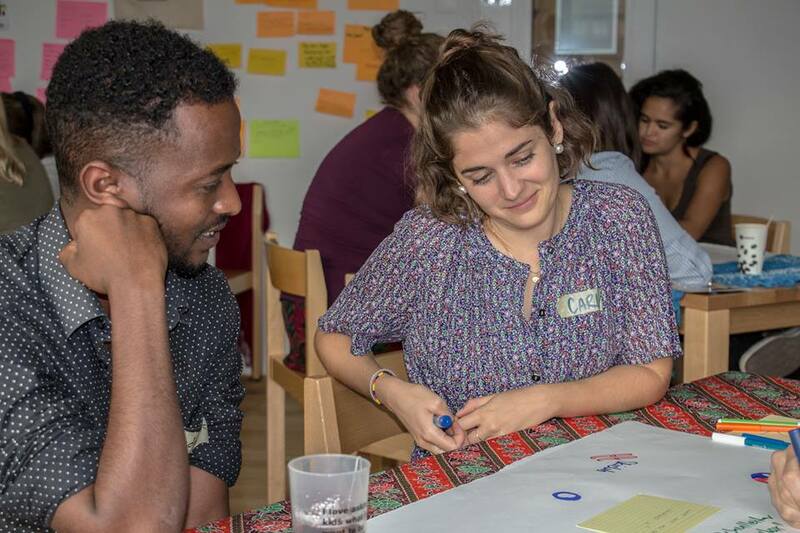 After receiving inputs and tips on project management, program design, pitching, facilitation and wellbeing strategies, the participants have left this first weekend having gained a toolbox and a framework that will help transform their inspirational ideas into transformative events, addressing global challenges locally. And if at a first glance this approach might seem utopian or even insignificant like a tiny drop of water in an ocean of needs and problems, why do we forget that an ocean is but a multitude of tiny little drops? So that being said, thank you to everybody who joined us on our quest to a fairer, better world! You missed this (r)evolution lab season? Join the next one, taking place in spring 2018! More infos here. Written by Oana Fetsch who is part of our wonderful (r)evolution lab host team. the unleash project: this is what happened at the first weekend!